The first full week of school on the 2018-2019 School Year! Grand Re-Opening Ceremony @ 2:00 p.m. Please email your child’s coach indicating that your child will be participating in the practice and a ride home will be available by 4:30 p.m.
New Horizons will be participating in the Terry Fox Run. We have set a goal of raising $500 dollars as a school for The Terry Fox Foundation. We are asking that if possible each student bring in a toonie ($2.00) for Terry on or before September 14th. There will be a school assembly at 2:00 p.m. to kick off the run. We will be running on the fields behind the school. 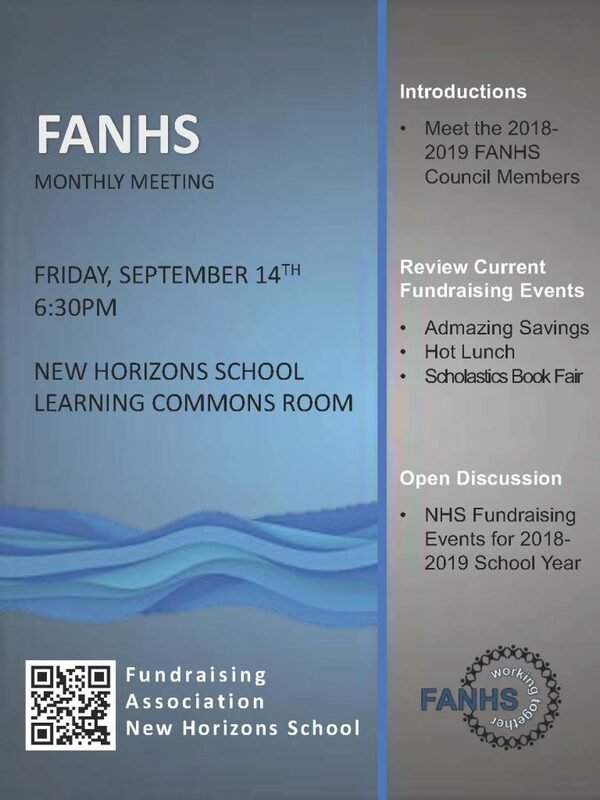 FANHS Meeting at 6:30 p.m.